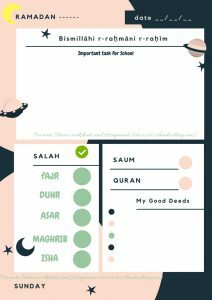 The Islamic Months Worksheet is designed for Kids age 4-9 years . Ask the Kids to Color the Worksheet and read the name aloud while they color it .Even elder kids can take it as project and start coloring it using glitter , Water paint etc . The last page of the worksheet is an assignment where kids need to write the names of Islamic months in English and Arabic and there are some questions to answer. The teacher / Parents can asses the answer and give remarks. You can get this Printable Worksheet at $3.50 .